Witch King To Set Up Occult Centre: Magus Lynius Shadee says he is in the final stages of securing a venue in Park Row for his centre. A MAN who calls himself the King of all Witches wants to open an occult centre in Bristol. Magus Lynius Shadee says he is in the final stages of securing a venue in Park Row for his centre. Mr Shadee, who divides his time between homes in France and London, calls himself a practising occultist. He says his centre will offer services including ritual work, witchcraft and exorcisms. He would not reveal the exact location of the centre, but says he has found a site in Park Row which will be good because of its proximity to the university's buildings. 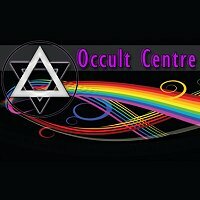 He said: "Hopefully the Bristol centre will bud the seed of franchised occult centres across the country." Mr Shadee, who has previously tried to open a centre in Cambridge and also tried to stand to become the city's next MP, said that his centre would be different to pagan centres because it would be "much more heavily involved".